Is a SIMPLE IRA a Safe Investment? SIMPLE IRA plans are as safe as the investments selected for the portfolio. Most IRAs are safe investments, at least compared to more volatile investments like stocks. SIMPLE IRAs, targeted for smaller businesses, are as safe as any. However, as all experienced investors are aware, there are no totally risk-free investments. Some features of SIMPLE IRAs, such as immediate vesting, provide safeguards for employee participants that enhance the attraction to employers and employees alike. These IRAs are jointly funded by employee and employer contributions. Since these IRAs are employer-sponsored, they will be as safe as is the company investment portfolio. Employers that offer SIMPLE IRA plans benefit from lower start up, administrative and maintenance costs than most other qualified retirement plans. Setting up a SIMPLE IRA is easy, helping smaller employers save money by not choosing more expensive retirement plans for employees. SIMPLE IRAs also help employees safely accumulate retirement assets. Employer contributions have a ceiling of 3 percent of employee compensation, which includes dollar-for-dollar matches that help employees build more wealth. The most important employee benefit of SIMPLE IRAs is immediate 100 percent vesting. All employer contributions are yours from the SIMPLE IRA setup date. Other employer-sponsored retirement plans allow employers to dictate vesting percentages. For example, an employer could stipulate that employees earn 20 percent vesting rights annually. This means that you must continue working for your current employer for at least five years to "own" 100 percent of employer contributions to your plan. If you find another job after one year in the plan, regardless of the sum your employer contributed, you're only entitled to 20 percent of that amount. A SIMPLE IRA offers 100 percent vesting from year one. Employers can choose between two options for SIMPLE IRA structures. Self-directed SIMPLE IRAs allow employers to use all available investment options, including stocks, bonds and mutual funds, at their discretion. Vendor product SIMPLE IRAs restrict employers to using mutual funds and insurance company offerings only. The latter option is probably safer because they aren't as dependent on the performance of individual stocks. Self-directed SIMPLE IRAs require more administrative time and investing expertise than vendor plans. 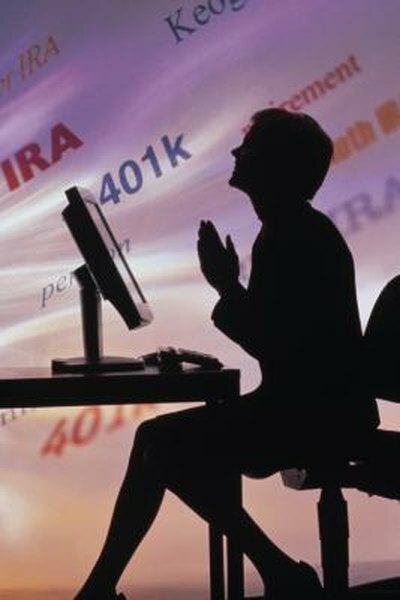 The safety of a SIMPLE IRA plan is directly related to the type of investments selected. Those investments with greater growth and profit potential also come with higher risk of loss. In most workplace environments, it behooves the employer to select investments weighted toward safety. Like all retirement plans, SIMPLE IRAs should reflect the long-term characteristics of its participants. Companies with up to 100 employees can create SIMPLE IRAs. The demographic age breakdown typically includes short-term younger employees mixed with veteran, older employees. Selecting investments that are safe is usually the best option.